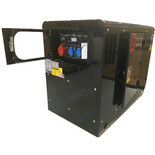 This wheel kit converts your KC10 generator into a portable unit making it ideal for moving around site, factory, warehouse and office units etc. 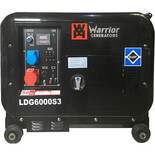 Our heavy duty diesel driven generators are reliable, have economical fuel consumption and need minimal maintenance. 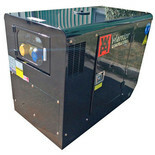 These generators are suitable for any situation where a power source is needed but no mains connection is available and have a wide range of applications in the leisure and trade industries. 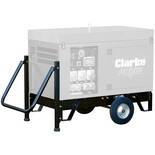 They can also be used to provide emergency back-up in the event of power failure. 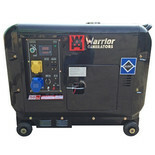 As well as diesel driven generators, Machine Mart carries a wide selection of generators including petrol driven, portable, and frame-mounted generators. 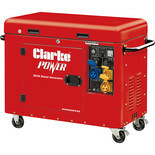 We provide tools from the leading brands such as Dewalt, Ryobi, Bosch and Clarke. You can buy online now, order by phone, or visit any of our superstores across the country. 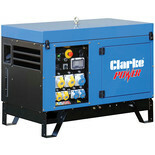 We provide a huge range of tools at competitive prices.